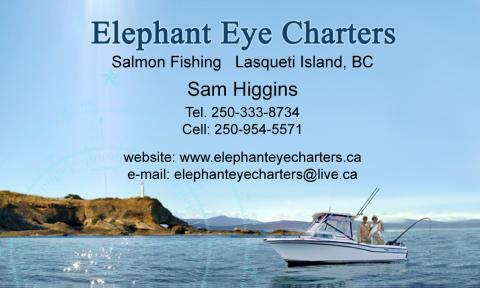 Elephant Eye Charters is a small owner-operated fishing charter business specializing in day fishing and scenic wildlife trips in the Lasqueti Island area. We offer unique salmon and prawn fishing charters in the central Georgia Straight region for individuals and groups up to four. We are excellently situated to intercept resident and migrating chinook salmon who feed on the massive schools of herring before proceeding to their natal rivers and streams. Very strong returns of chinook have reestablished the area as a great fishing destination. 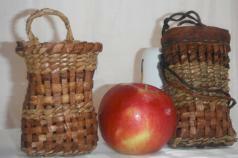 There are numerous hot spots 10-20 minutes from the Lasqueti Island ferry dock in False Bay. Sam Higgins is S.V.O.P. Transport Canada certified and fully insured. We can offer you, your friends and family a comfortable, exciting and unforgettable fishing experience!